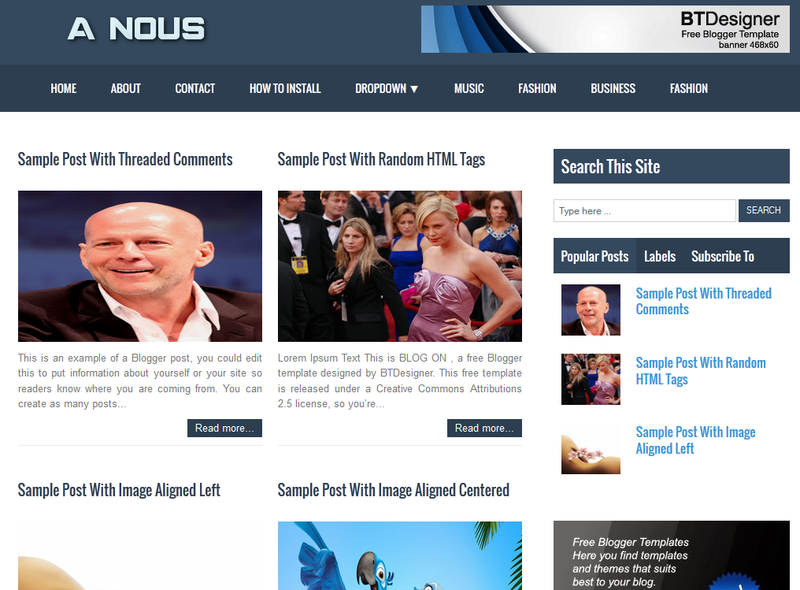 A Nous Magazine is a simple, easy customization, beautiful and efficient blogger templates. Inspired by one of the most beautiful (in my opinion!) templates for Joomla platform. Because of its versatility allowing you to create multiple variations in blogger platform.